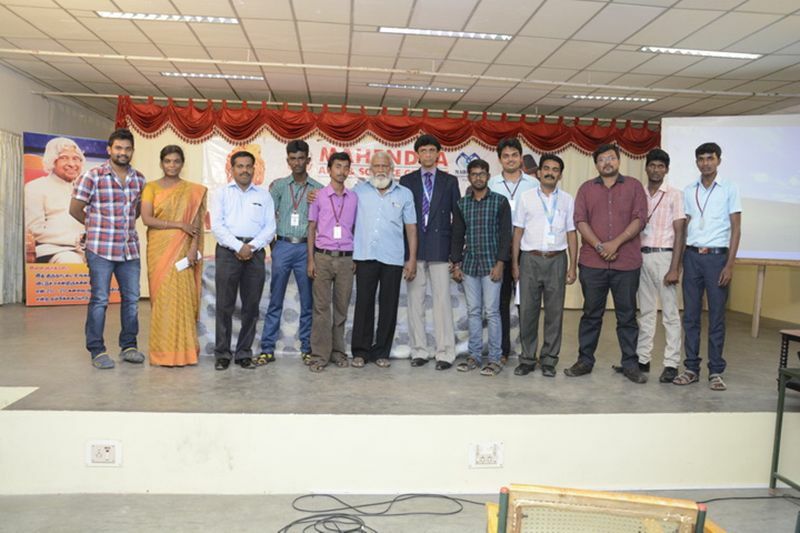 The Twinning programme, a joint venture of Annamalai University and the college, is yet another landmark towards the goal of education of high quality. 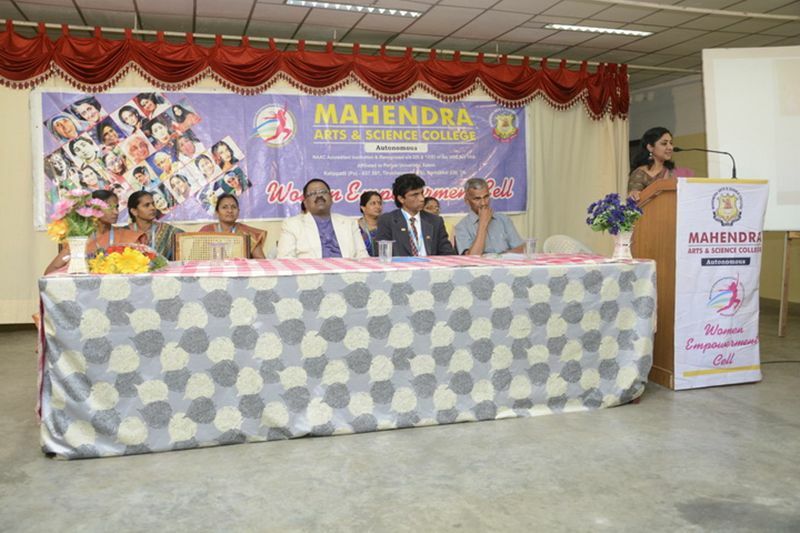 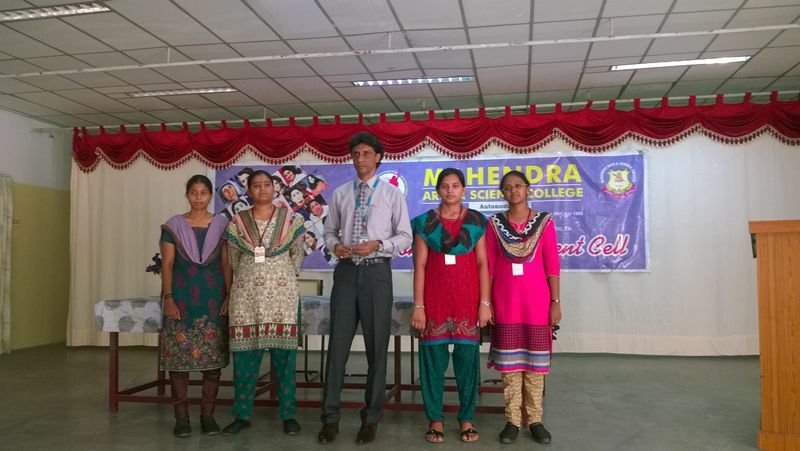 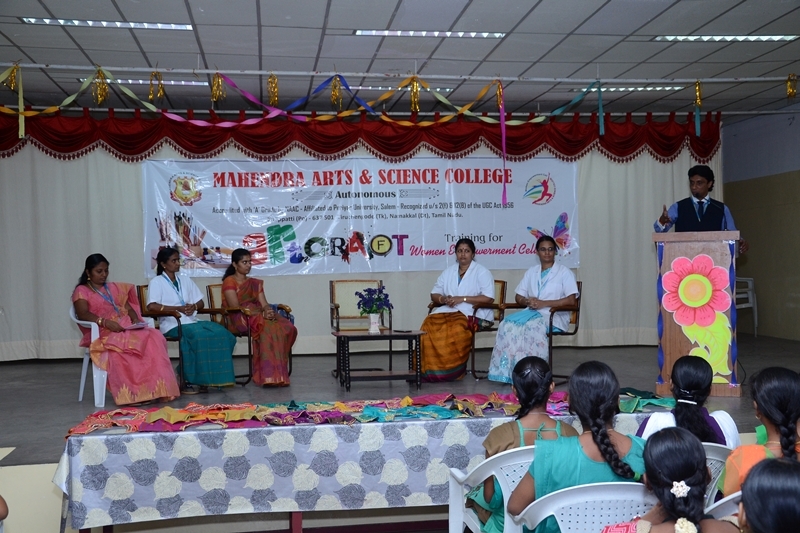 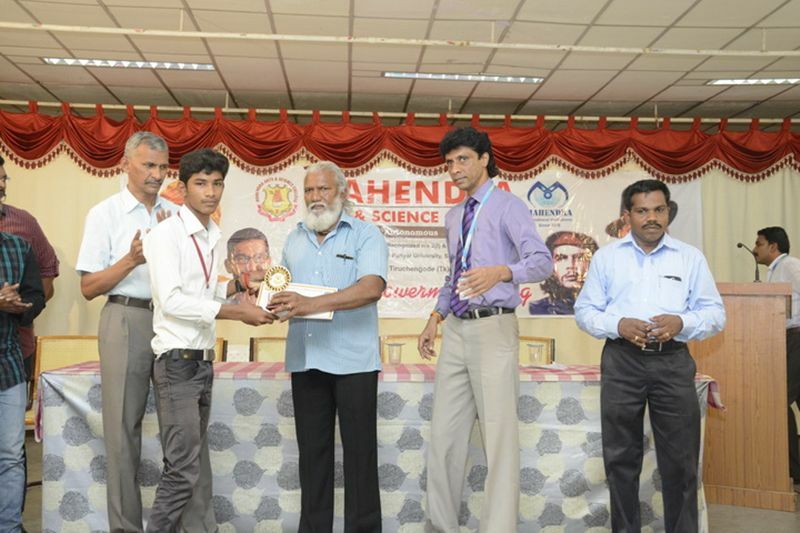 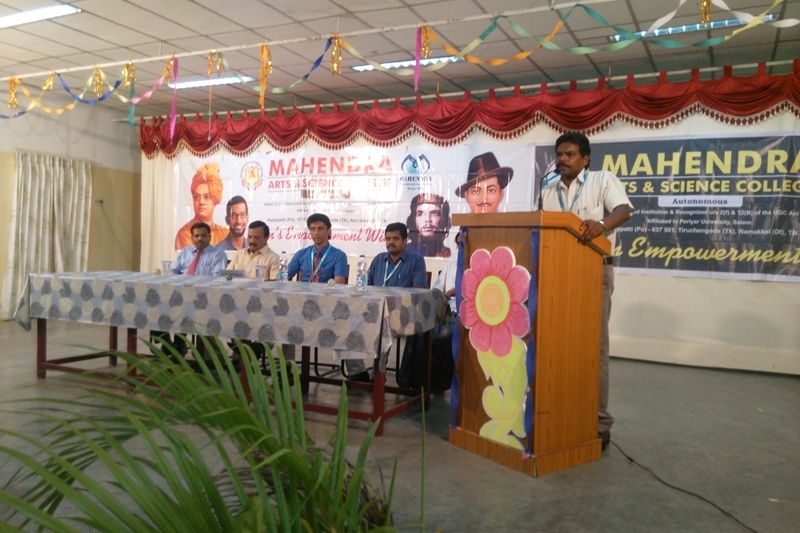 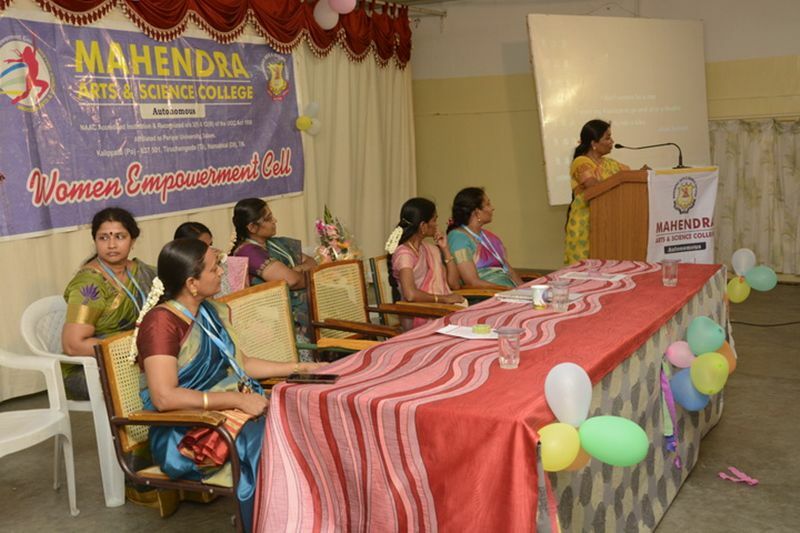 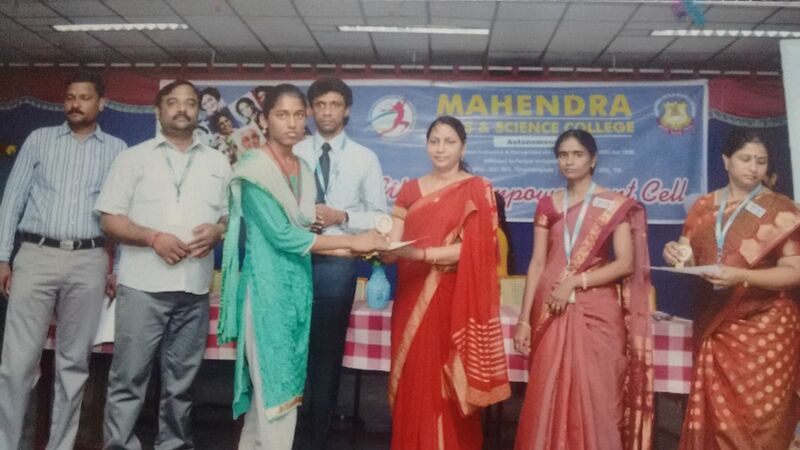 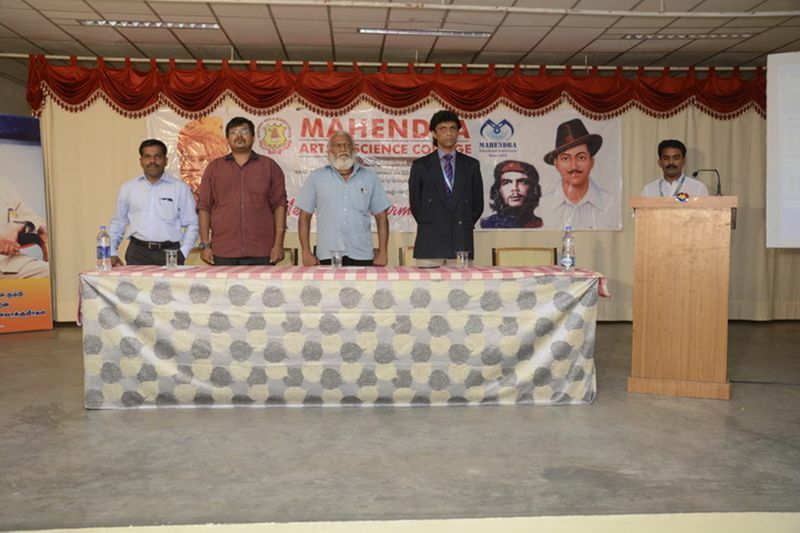 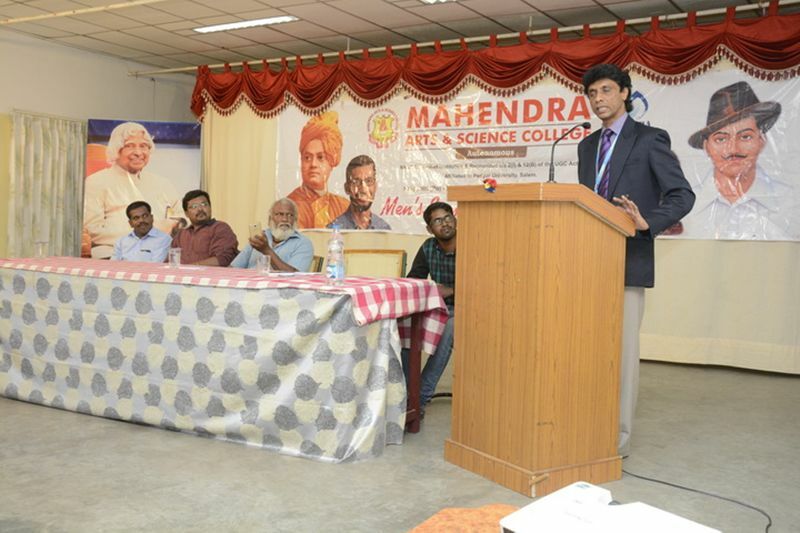 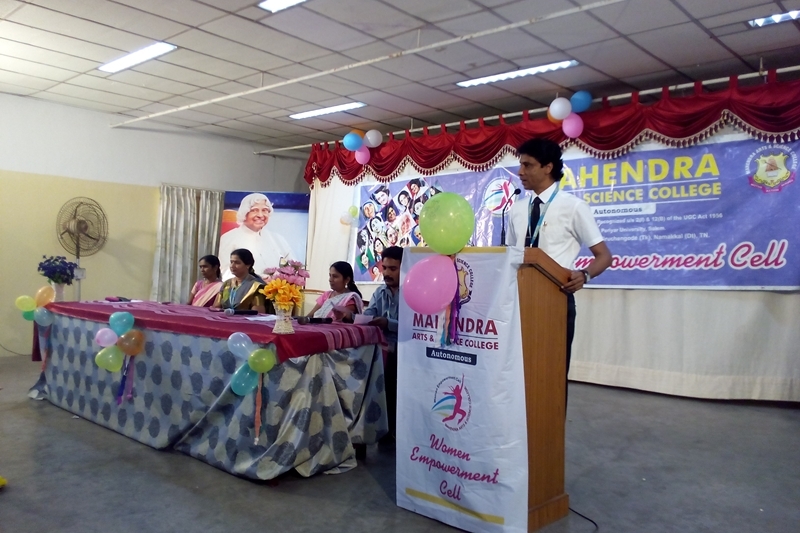 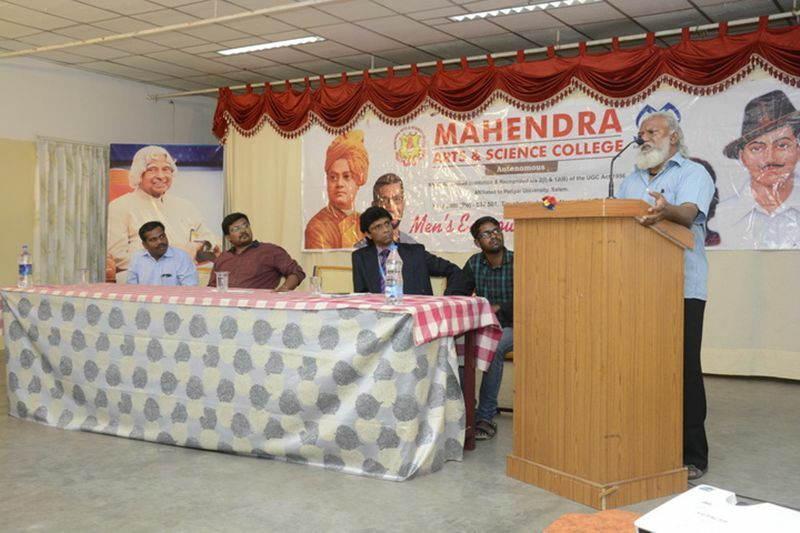 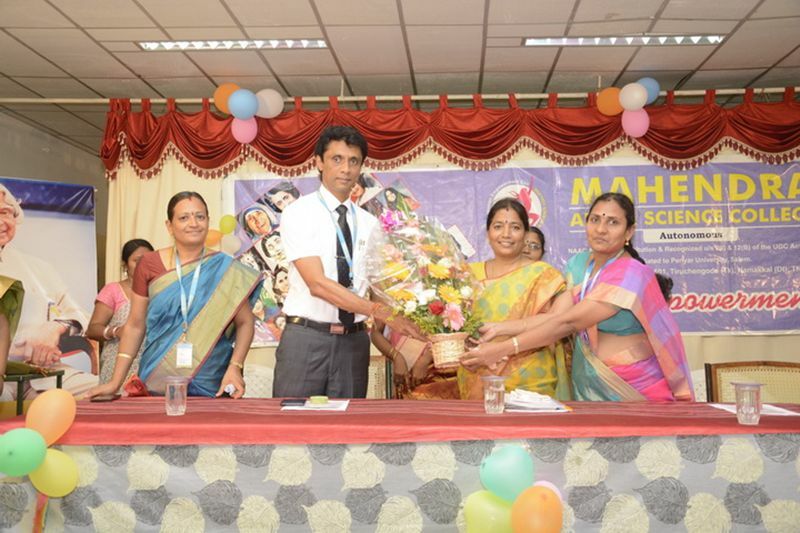 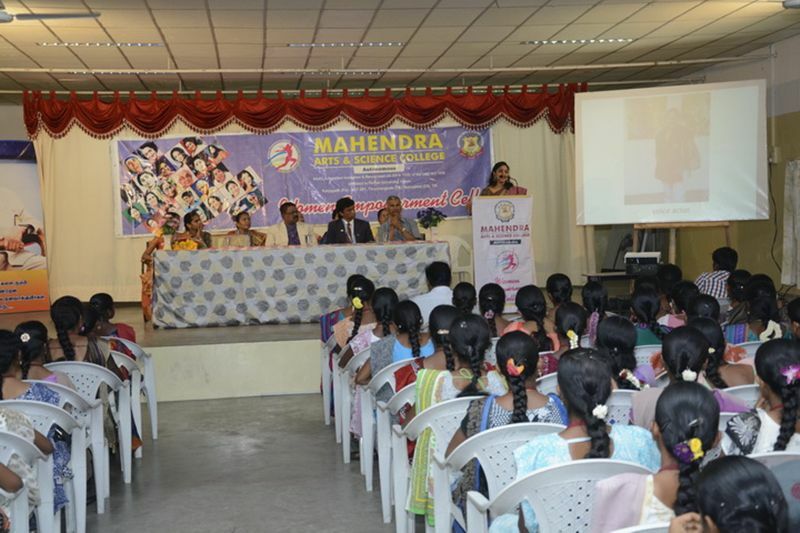 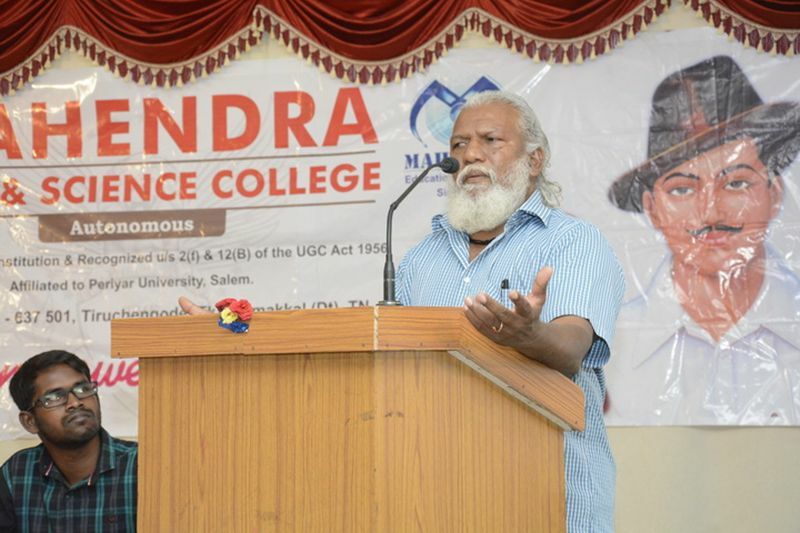 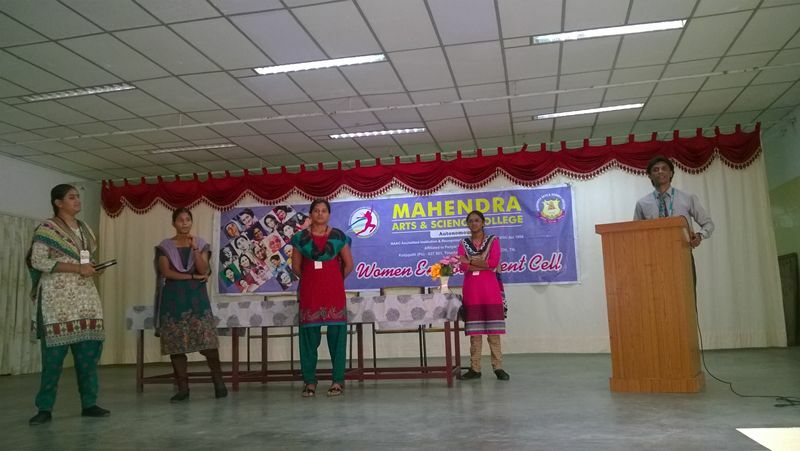 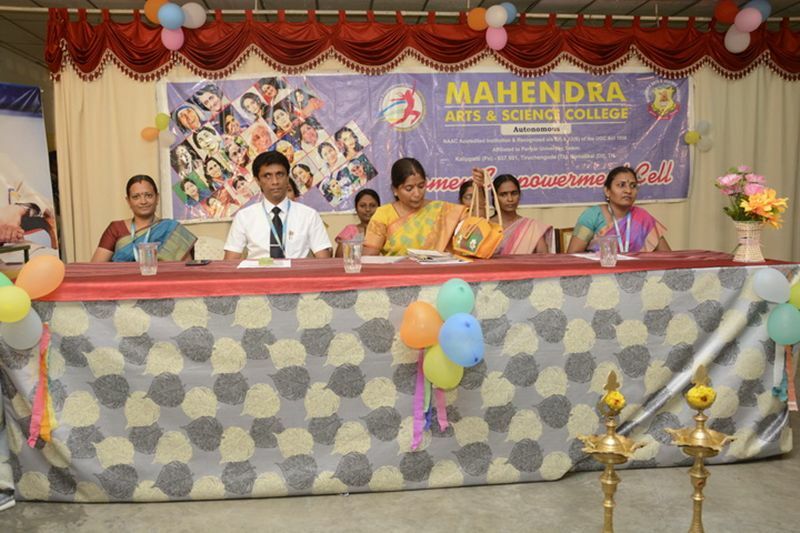 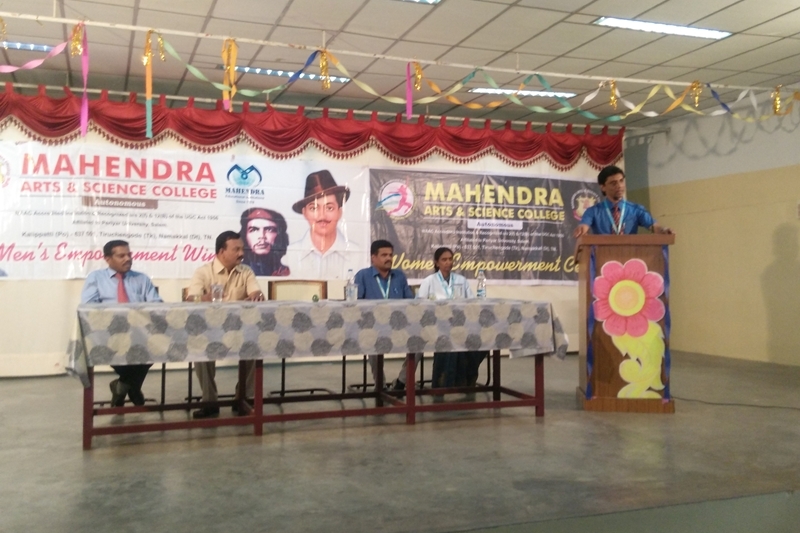 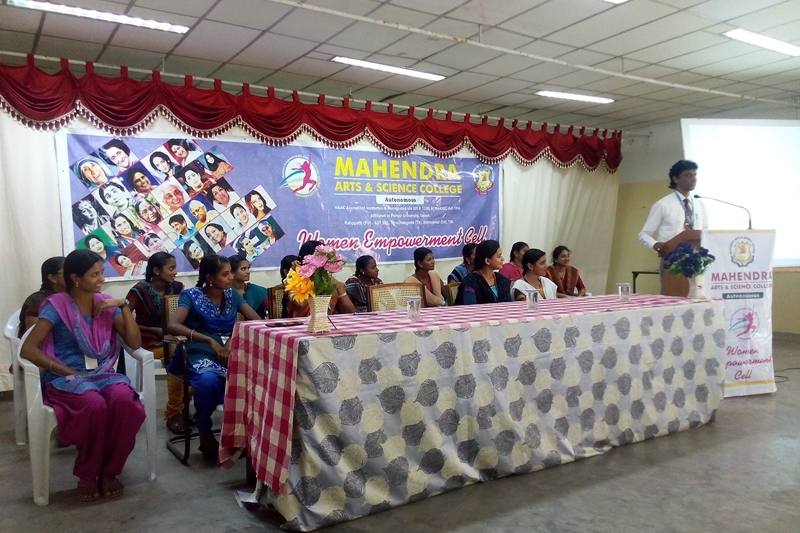 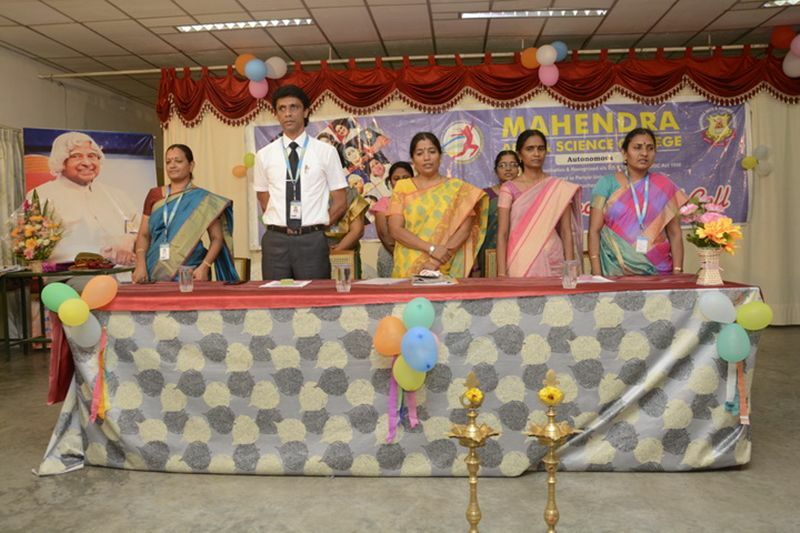 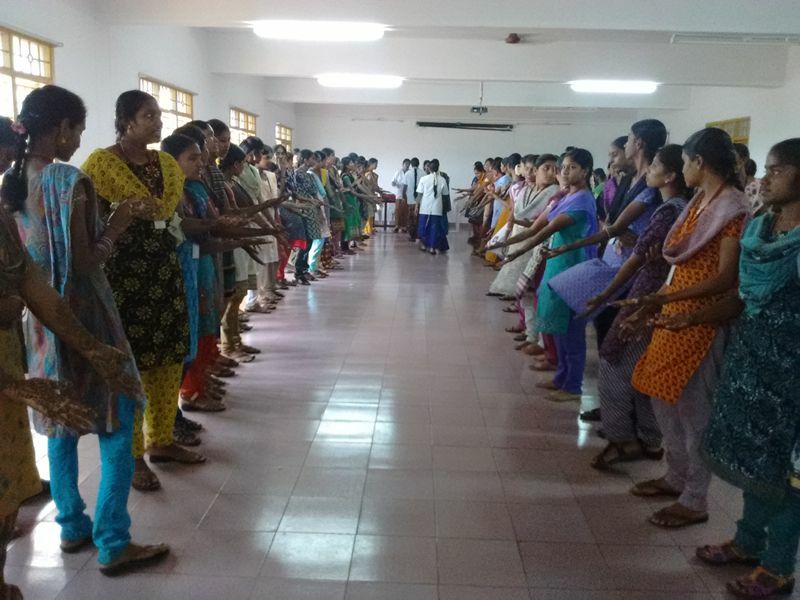 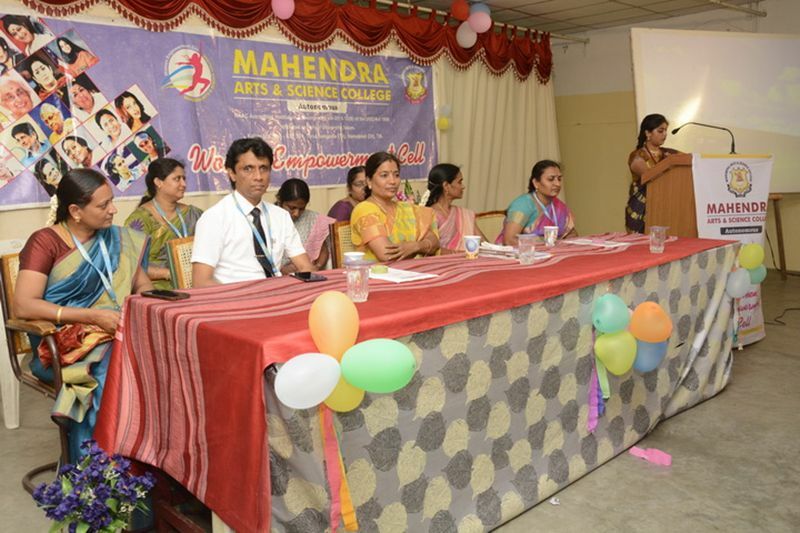 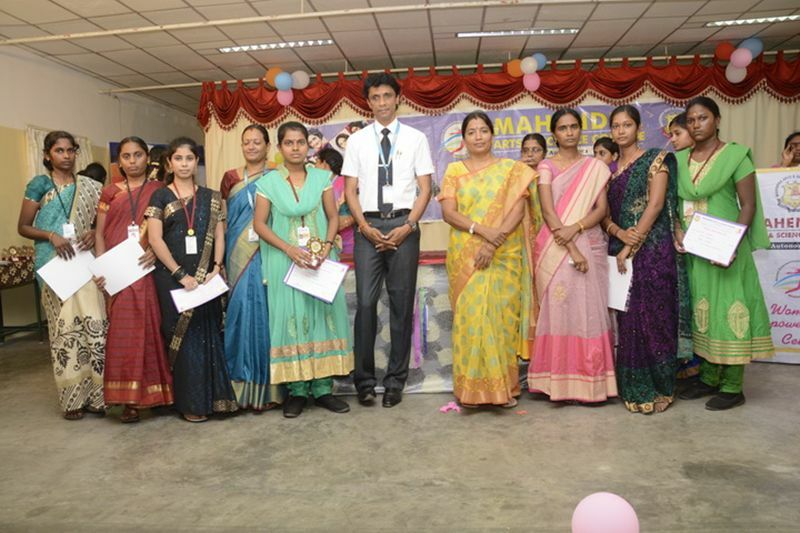 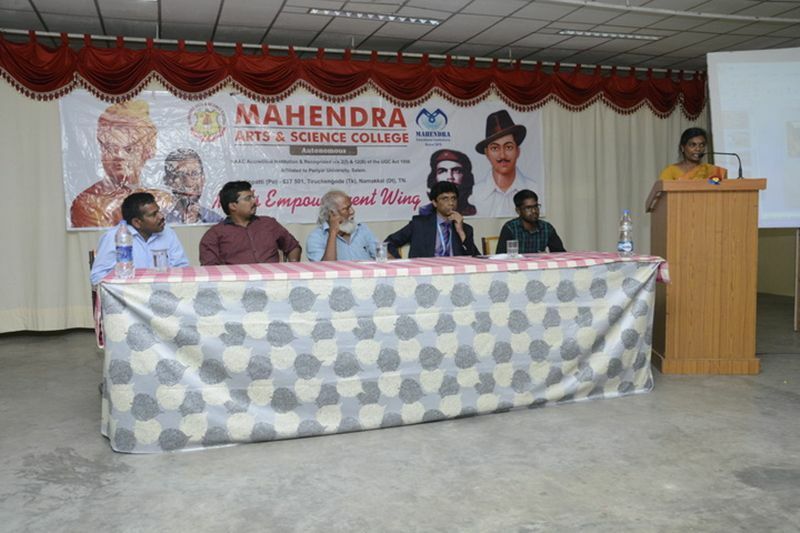 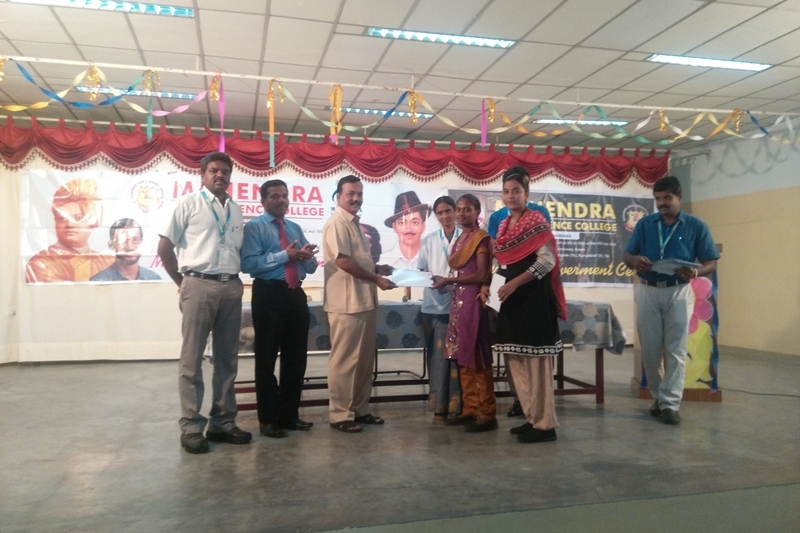 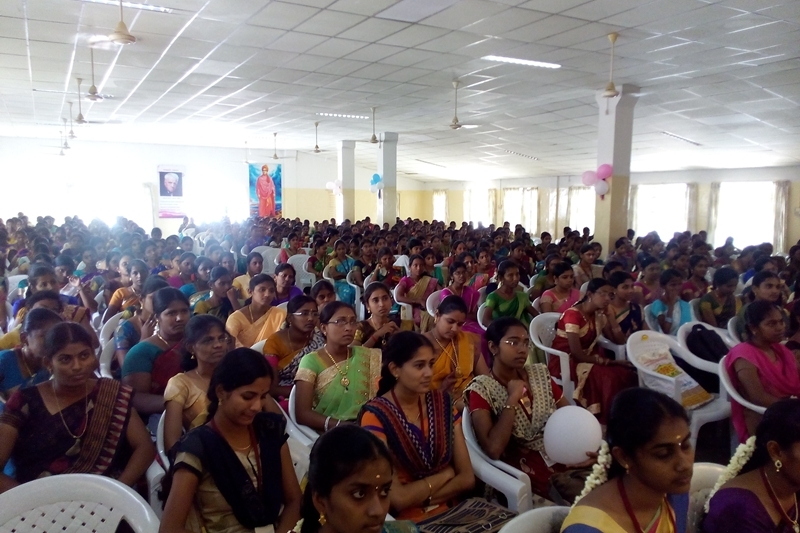 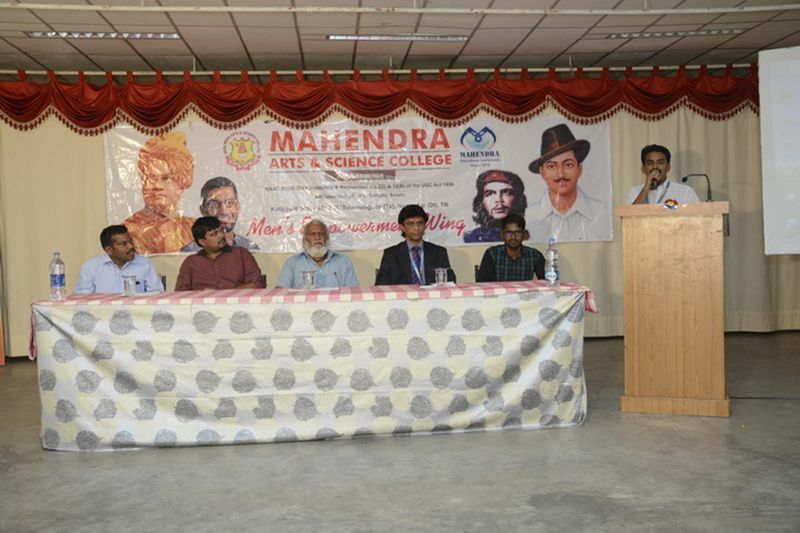 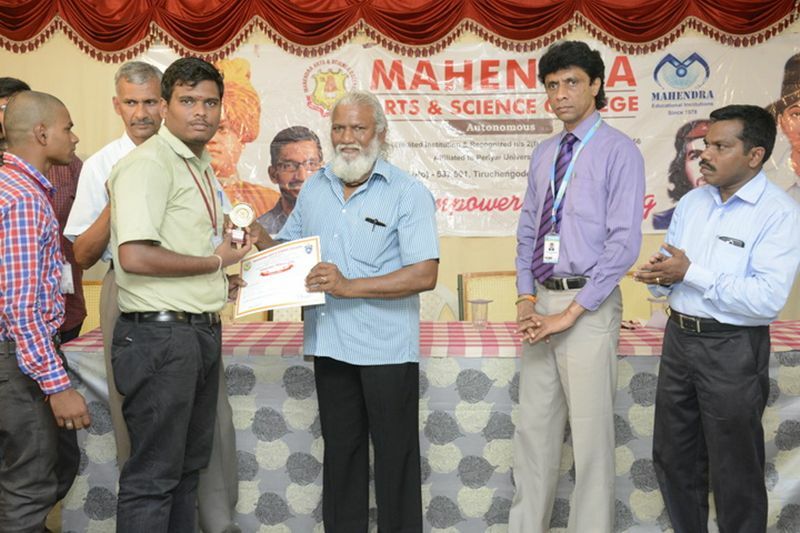 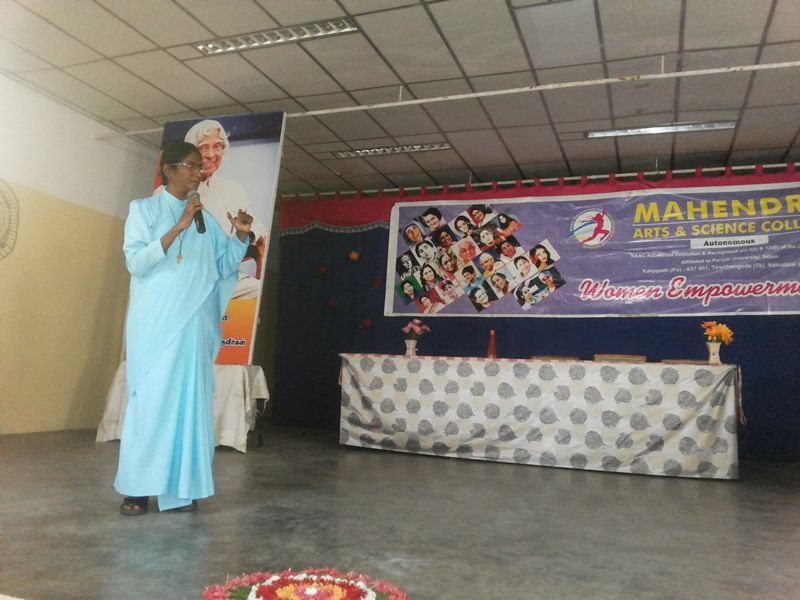 Mahendra Arts & Science College is also fast emerging as a model institution and nerve center for the socially, educationally and economically backward students on the rural educational map of Namakkal and Salem Districts. 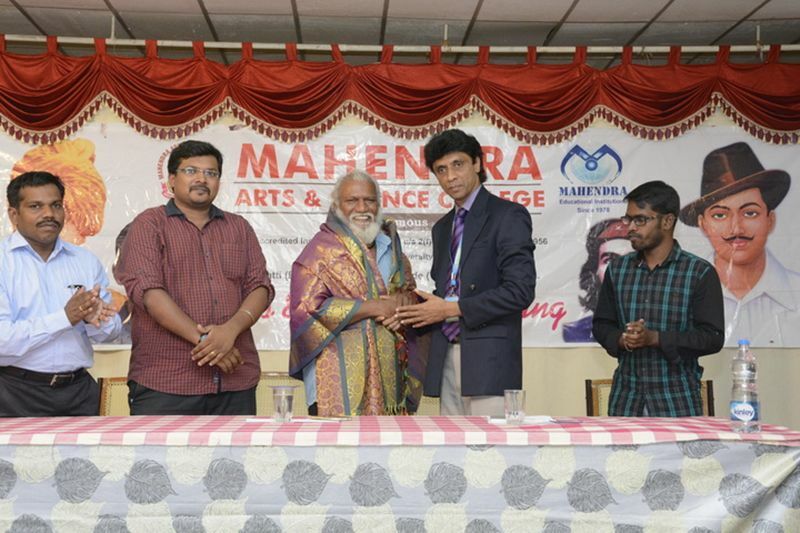 The abode of Lord Kandan is in Kalippatti, where our college is situated. 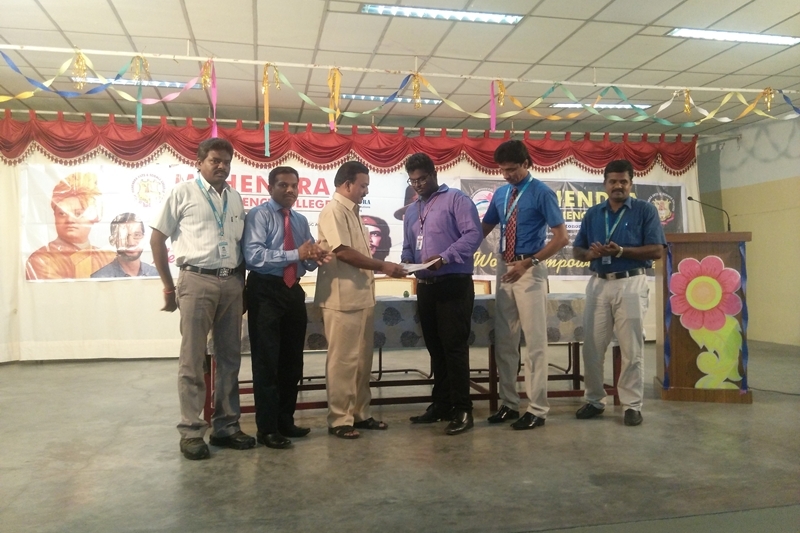 The emblem of our college with the inscription of the Motive, Action and Service signify the spiritual thoughts to be imparted to our students that they are always blessed by Lord Kandan, to be virtuous, ever learning and helpful to others. 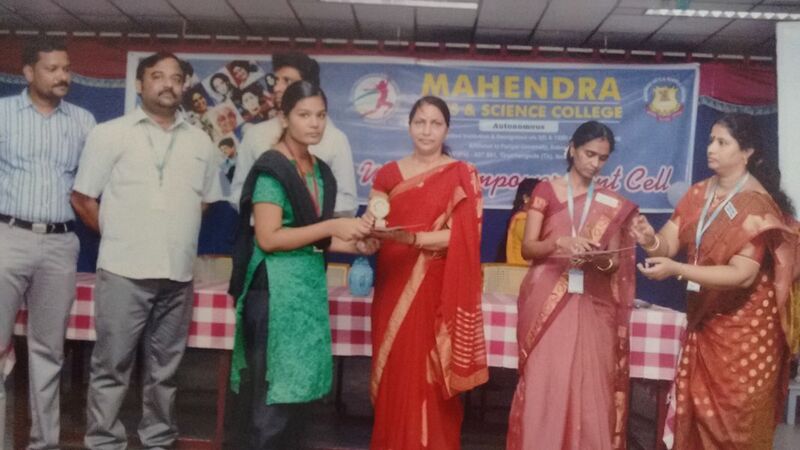 We strive to impart knowledge by motivating the students to have a set goal and work accordingly to put things in action with service mind. 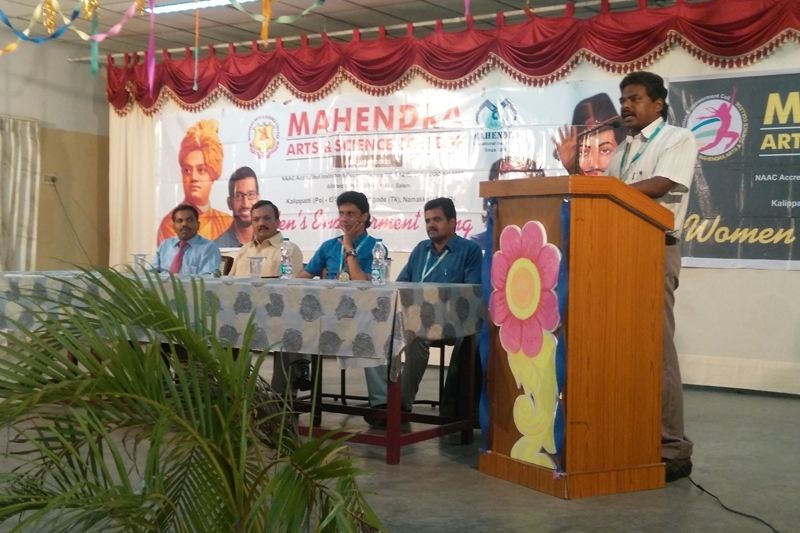 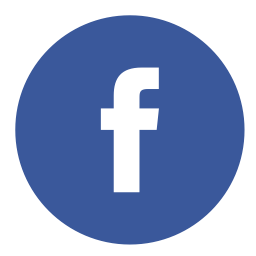 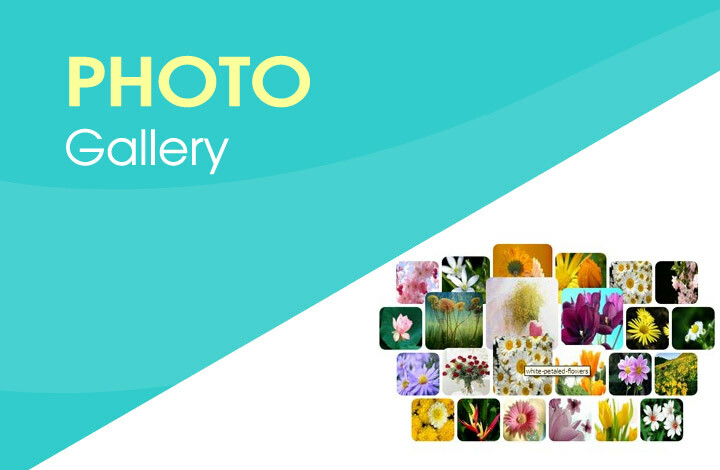 The first letters in the words Motive, Action and Service also stand for Mahendra Arts and Science. 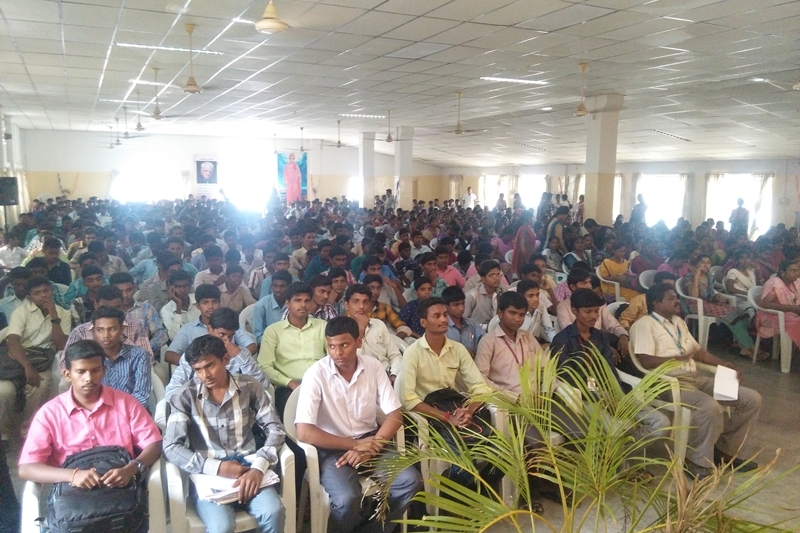 Specific efforts are taken to see the newly admitted students to settle down with ease in their high academic pursuit. 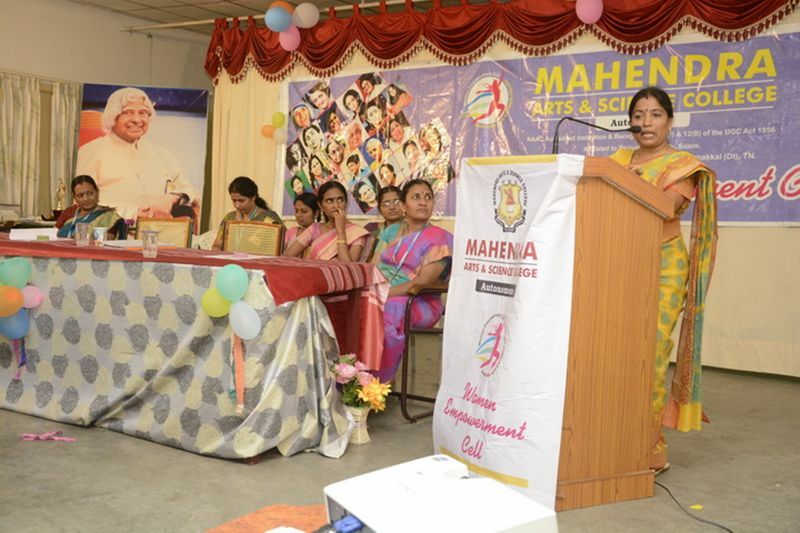 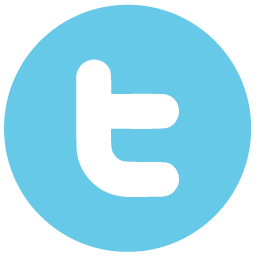 The main difficulty experienced by the students is the change of medium of instructions and different allied subjects. 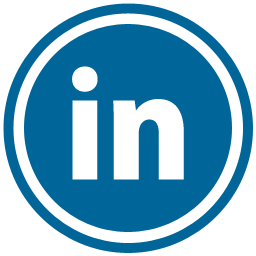 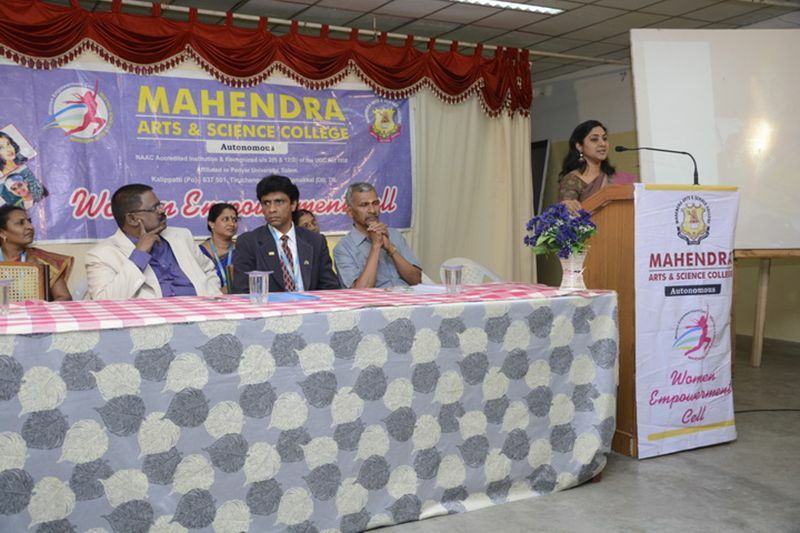 Hence, practice oriented bridge course in English and crash courses in mathematics, physics and chemistry are given to students. 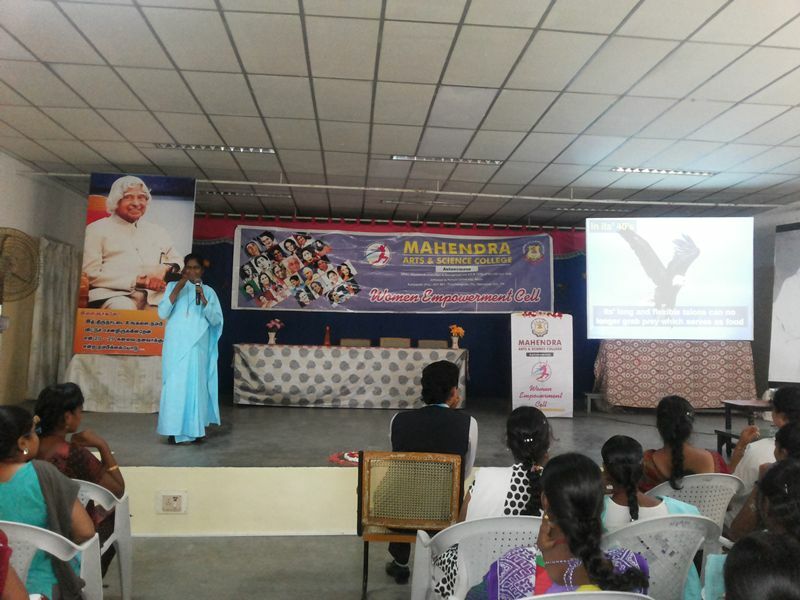 In order to inculcate good thoughts and qualities, in the minds of students 'a proverb a day' scheme has been introduced. 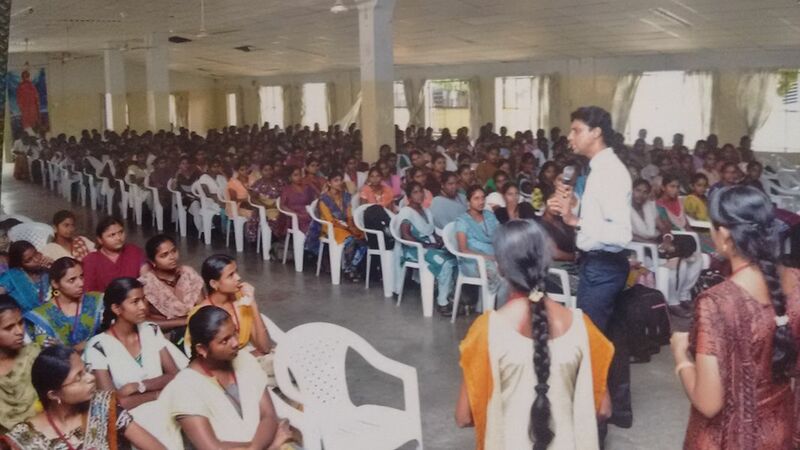 Coaching is given to arrear students to get through examination and class toppers to secure University Ranks. 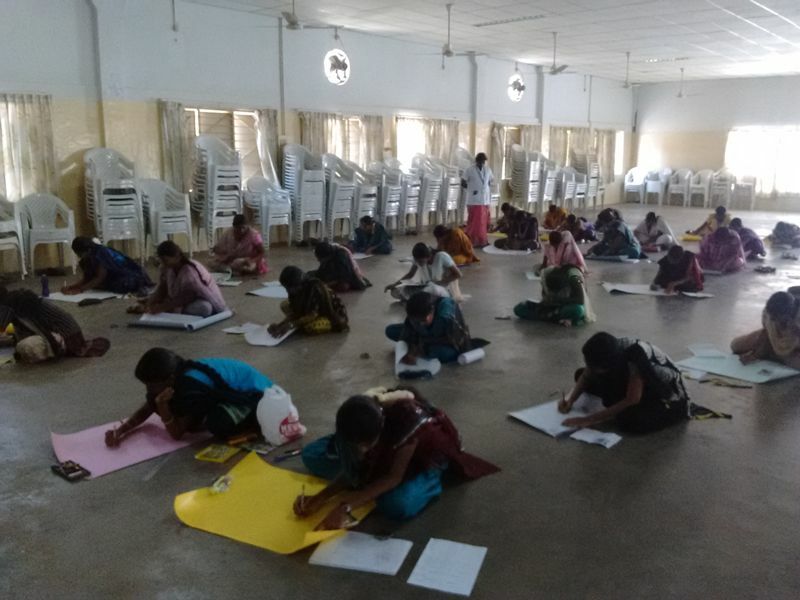 In order to stress the importance of learning daily and to prepare them for the final examinations, the first hour of our college schedule is utilized for conducting tests subject-wise. 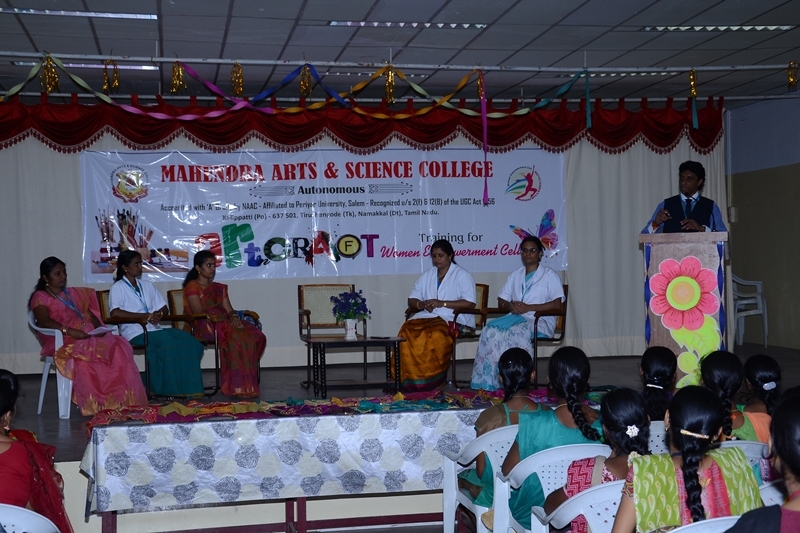 A tutorial ward system has been introduced to counsel the students periodically and put them on the right path. 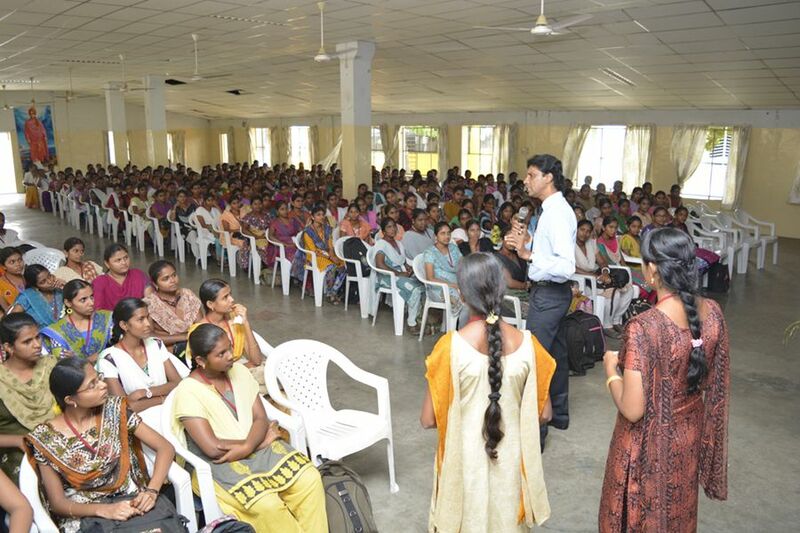 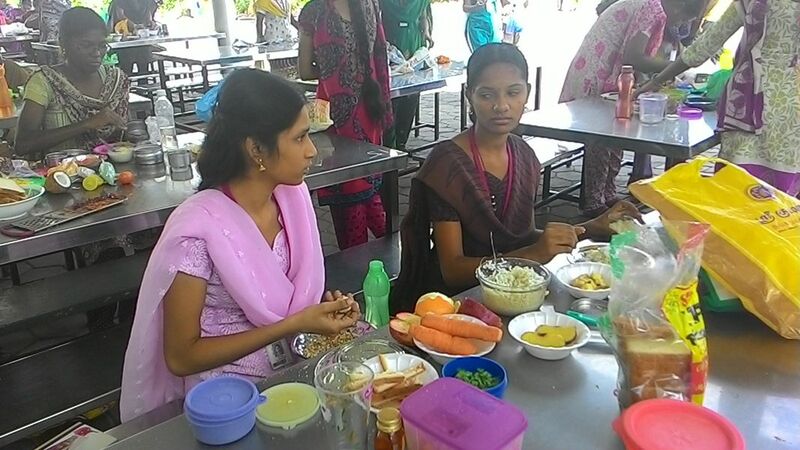 The final year students are facilitated to do project work inside the campus and also in reputed companies. 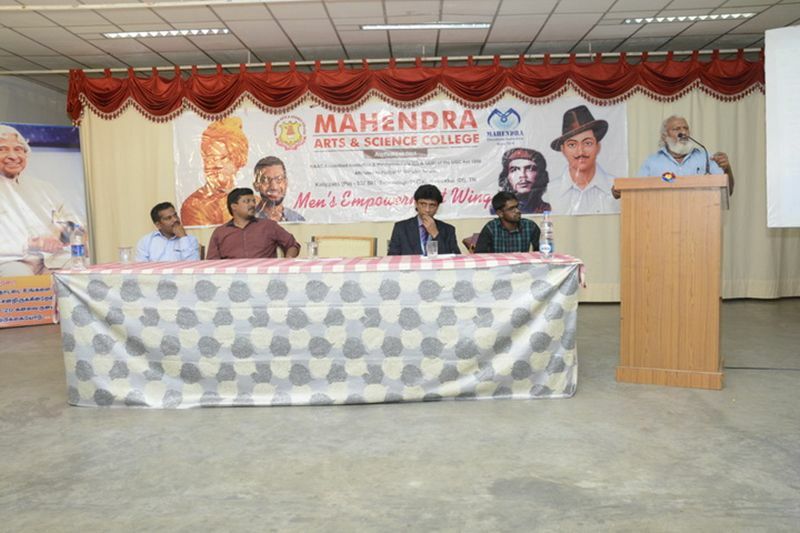 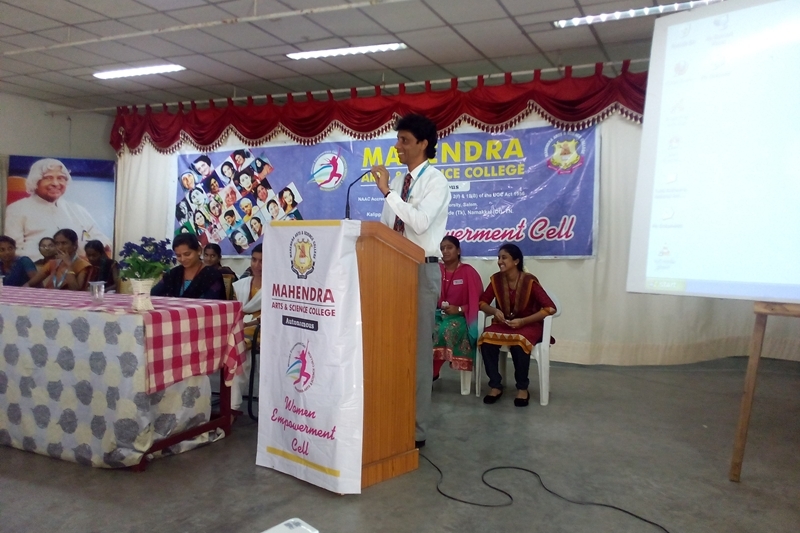 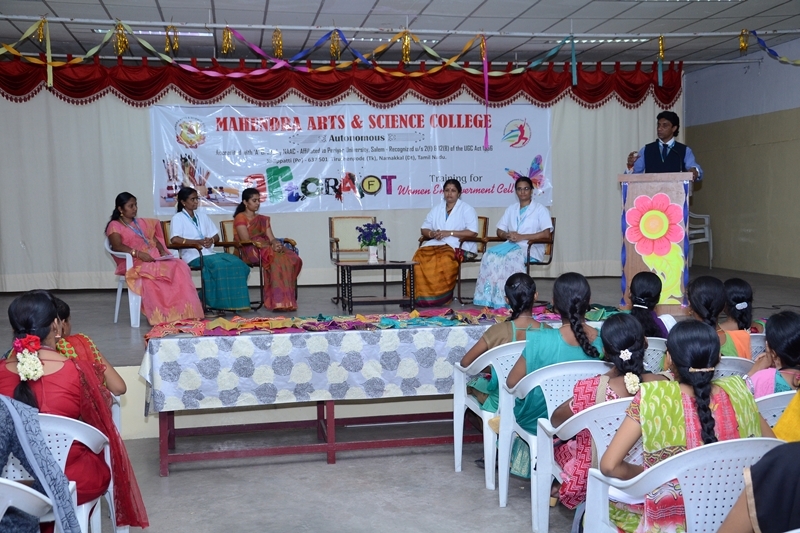 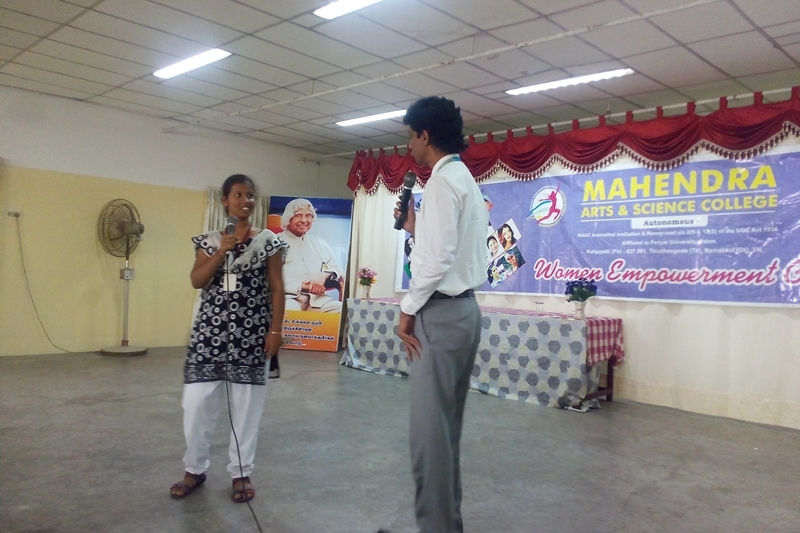 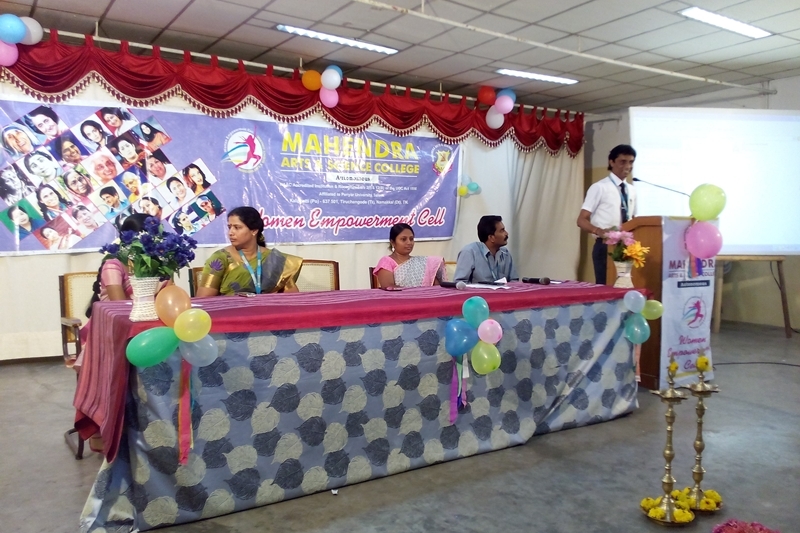 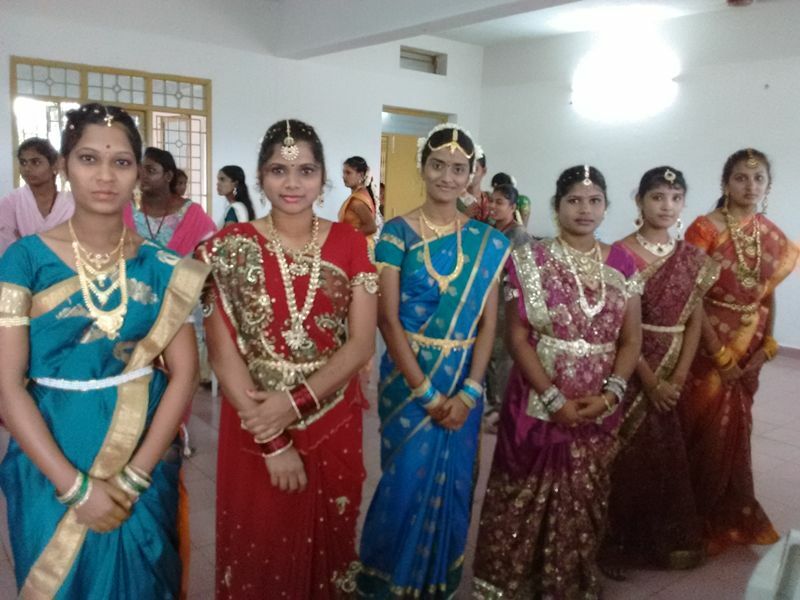 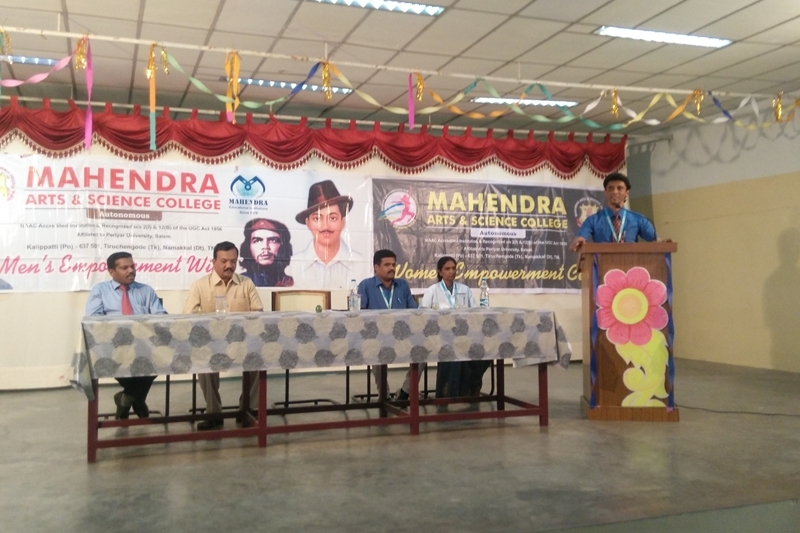 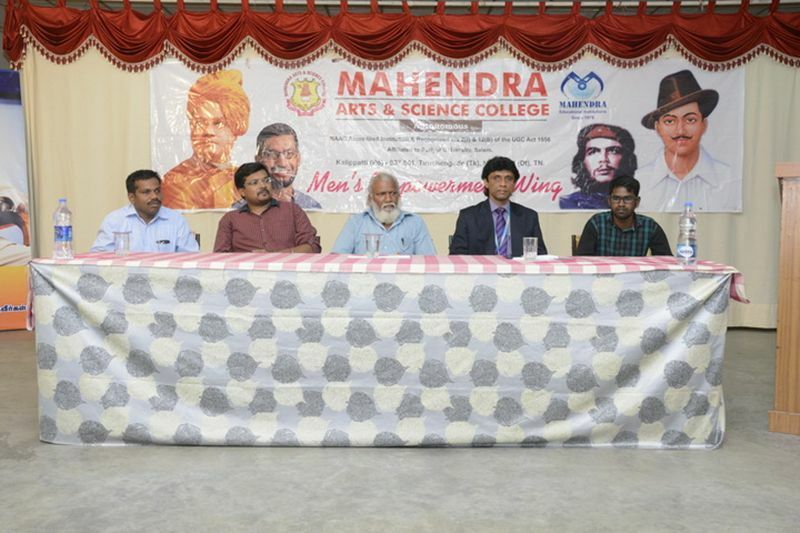 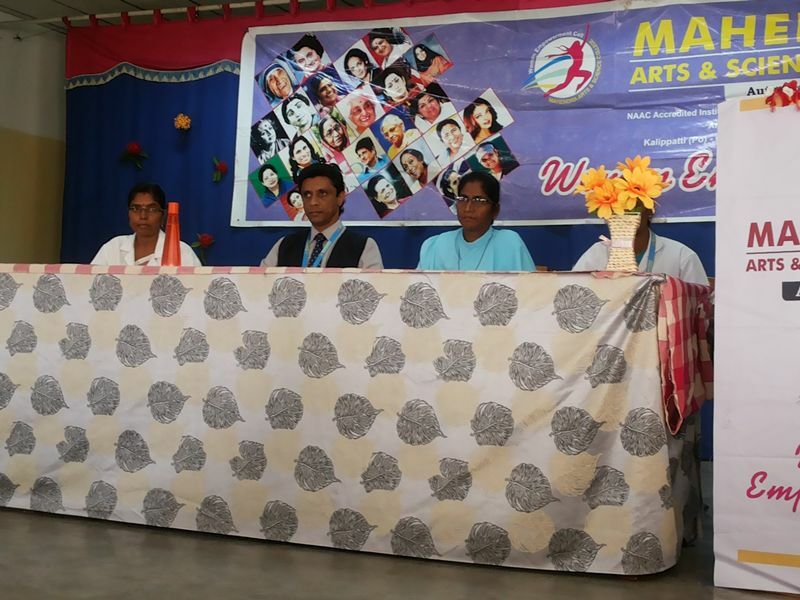 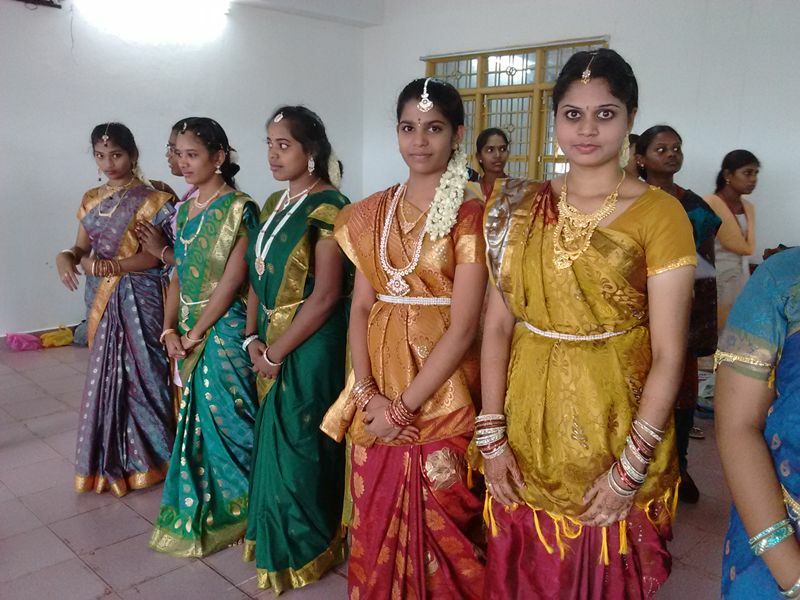 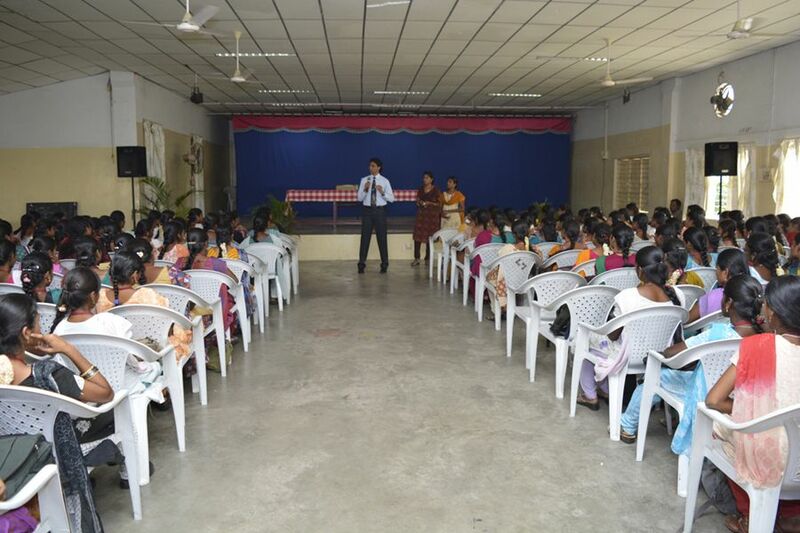 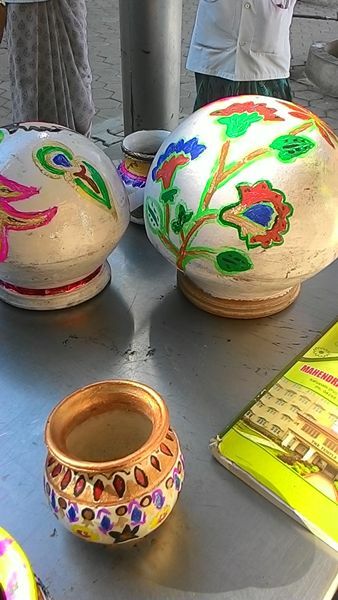 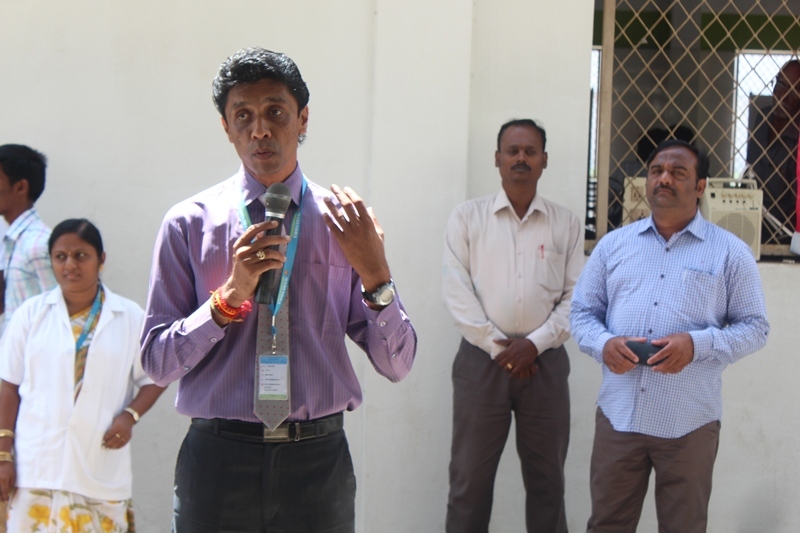 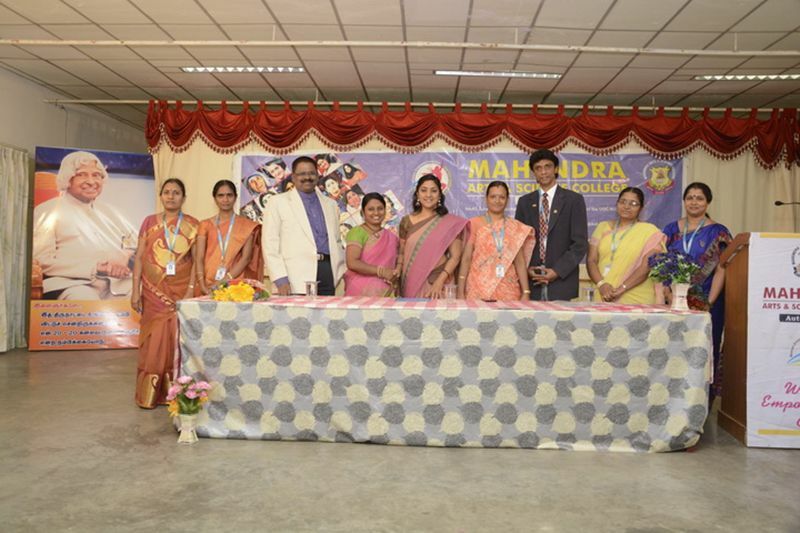 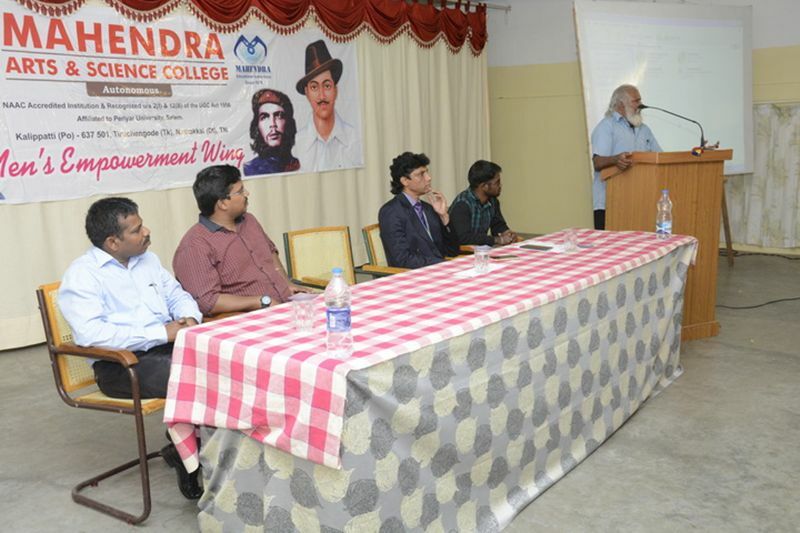 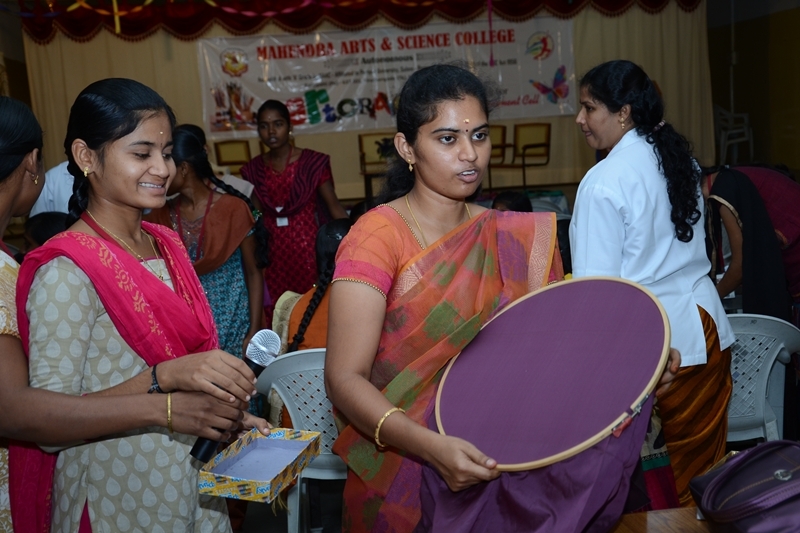 The English , Science Association, Photography Club, The Eco Club, Tamil Mandram and Arts Association are functioning under 'Manavar Valarchi Mandram' in the college to help the students to exhibit and improve their skills. 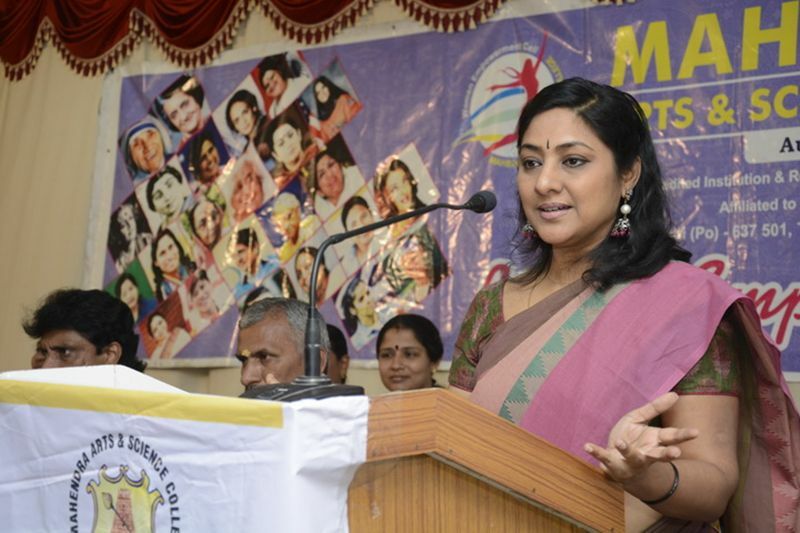 A National commission for women-complaints committee is there to protect and promote the interests of women and safeguard the rights of our girl students. 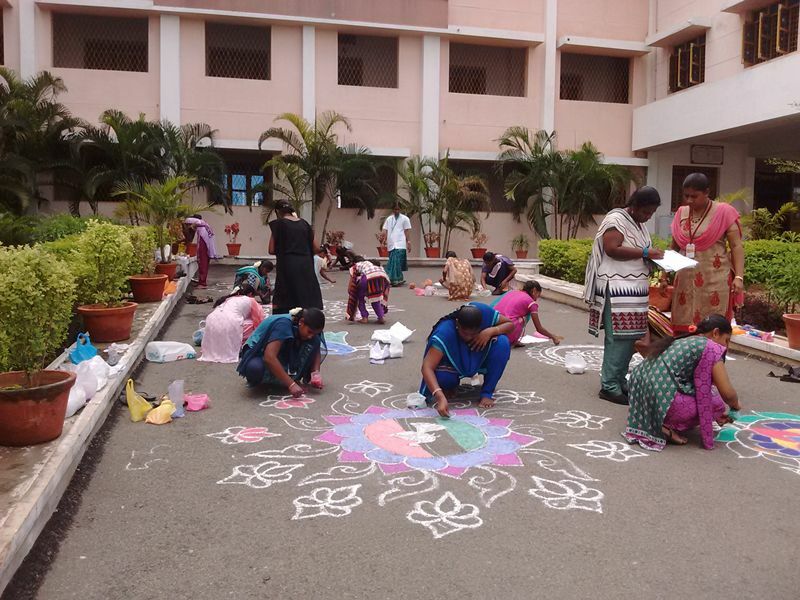 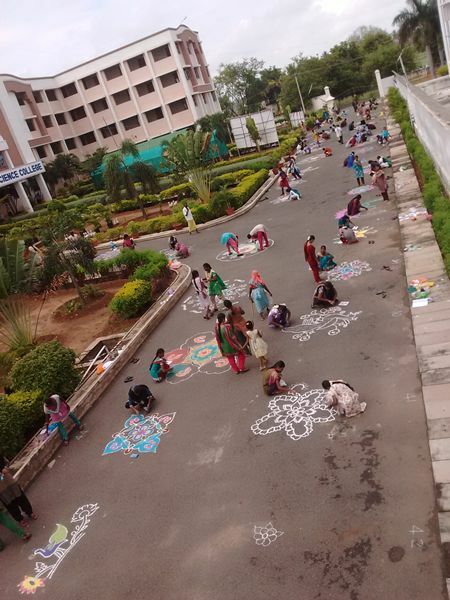 NSS campus Cleaning Programme on 04.08.2016 in our arts college. 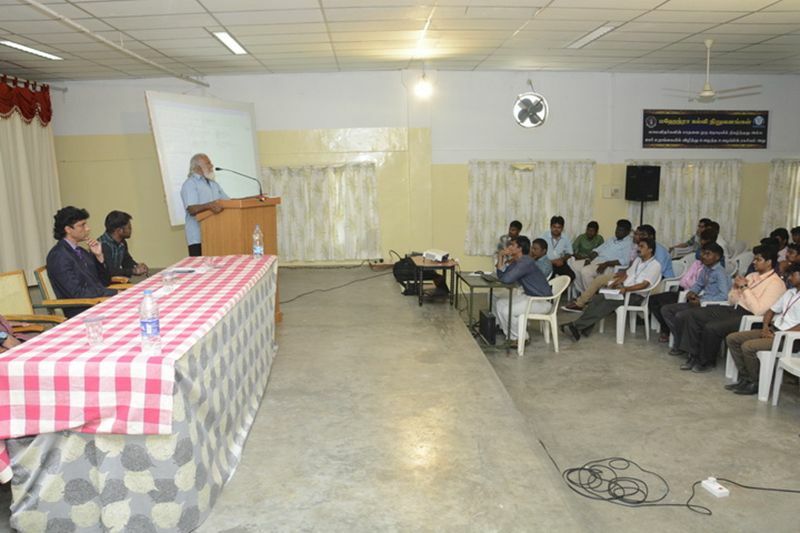 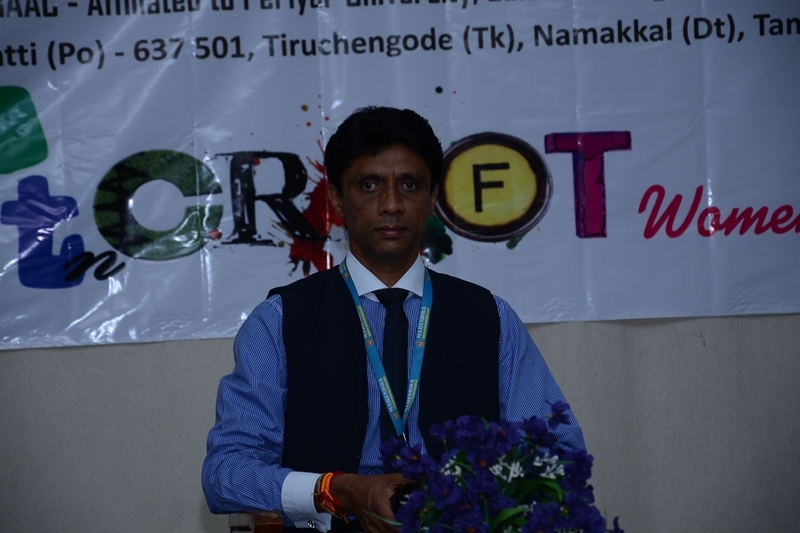 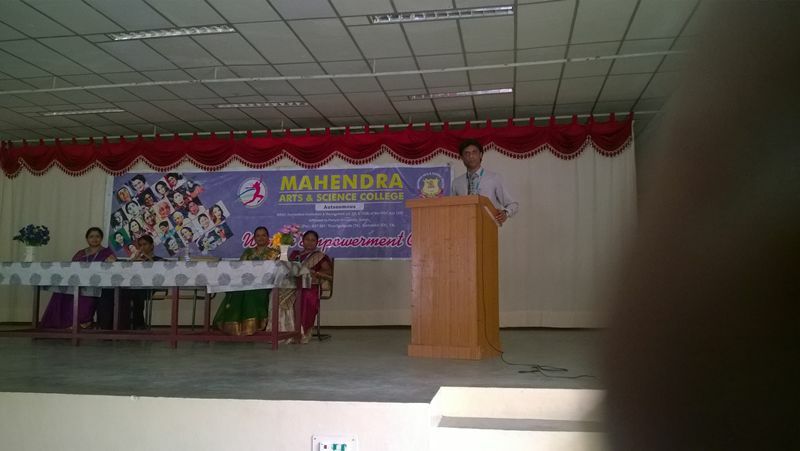 HoD / CS Dr Kumaravel flaged off the event.